Beneath the surface of the rooms we inhabit are the materials that make up walls and ceilings. The exacting workers who construct these interior surfaces are drywall and ceiling tile installers, and tapers. 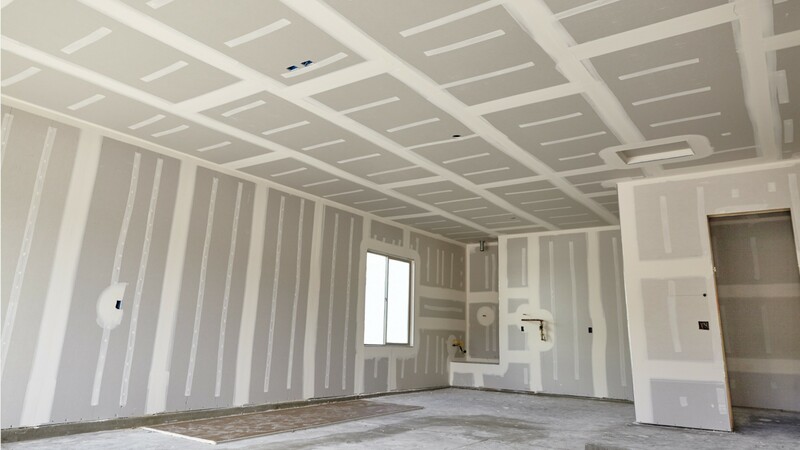 Drywall installers attach wallboard to create walls in new construction, or to remodel existing spaces. They measure and cut wallboard with exacting precision, and hang the panels on wooden or metal framing. Tapers cover drywall seams with paper or fiberglass mesh tape so walls are ready for the final coating of plaster, paint, or wallpaper. They sand joints and holes as needed to create a seamless finish. Ceiling tile installers create the framework for suspended ceilings, cut ceiling tiles to size, and insert them in the frames. These workers spend hours each day standing, bending, climbing up and down ladders, and lifting materials. Skilled with both manual and power tools, they may use mechanical lifts for ceiling work, or stand on stilts or scaffolds to reach the work surface. They wear protective masks, goggles, and gloves as needed. Most drywall and ceiling tile installers and tapers work for drywall contractors, and learn their trade on the job. Knowledge of basic math is helpful, but there are no formal education requirements. In this field, when your back is up against the wall… the job is done. See more details at O*NET OnLine about drywall and ceiling tile installers. Drywall & Ceiling Tile Installers by U.S. Department of Labor, Employment and Training Administration is licensed under a Creative Commons Attribution 4.0 International License.